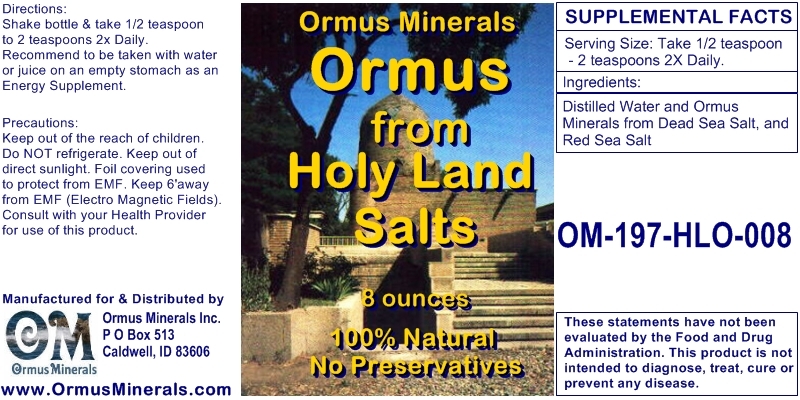 Made with multiple top quality known Ormus Minerals Rich Salts. 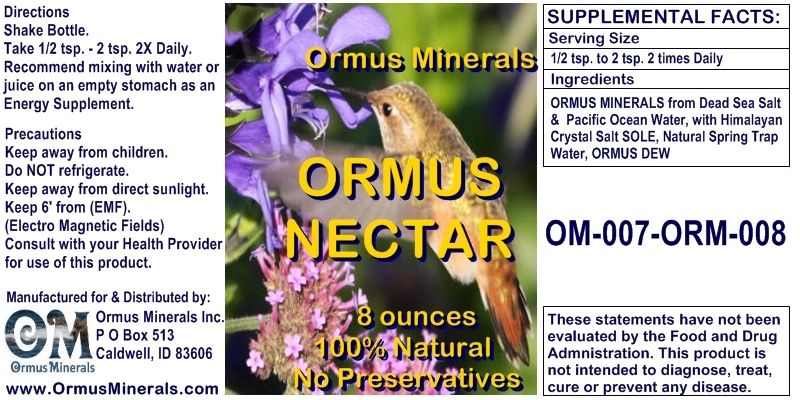 What Makes this Ormus Minerals Ormus Nectar Unique? Next we wash the Ormus with charged distilled water again. 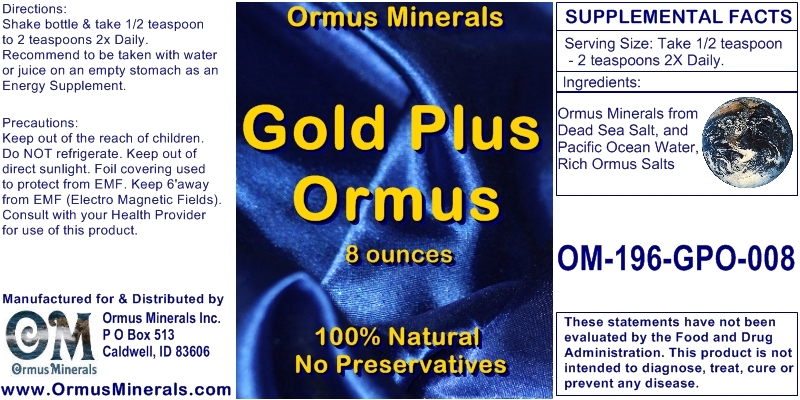 After several washes this leaves pure condensed Ormus Minerals and then Natural Ormus Rich Spring Trap water is added along with natural ocean ormus dew to give this unique ormus product the best Formula. 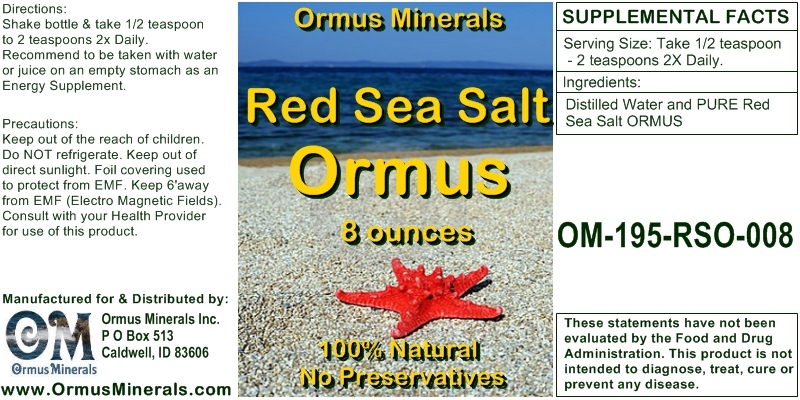 Then in the final step we add our powerful Charged Himalayan Crystal Salt Sole to keep the Ormus in solution and give you a complete ORMUS Mineral Product like no other ones available. 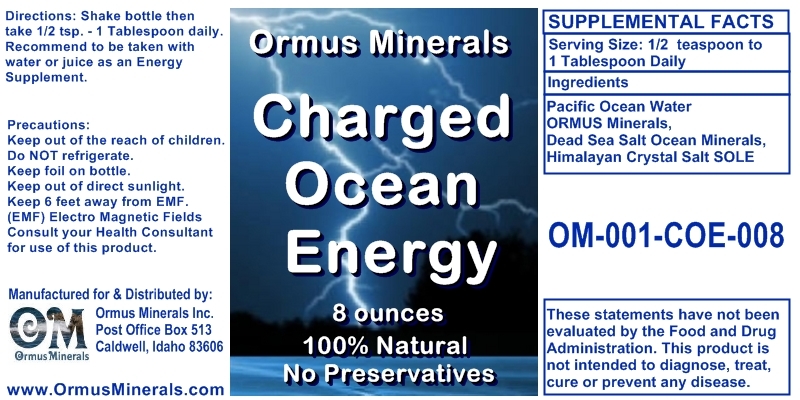 This leaves a very condensed and potent Ormus Mineral Product that has twice as much Ormus in it as our regular Ormus Minerals Ocean Energy product. 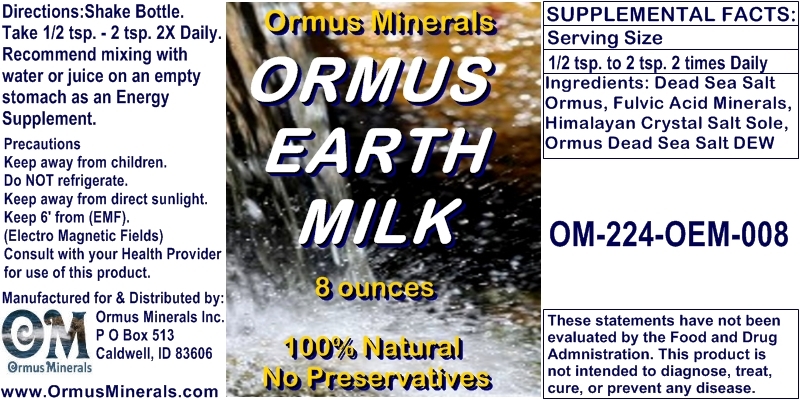 WHAT DOES ORMUS DO? It has been shown that ORMUS has inherent ‘superconductive' characteristics, as the atoms are in a ‘high-spin' state. So when Ormus enters the human body inter-cell communication is quickly increased. When each of the cells is ‘enlivened' and is communicating with its environs and the rest of the body, balance and heath is more easily and quickly restored. The cells are recharged and rejuvenated. 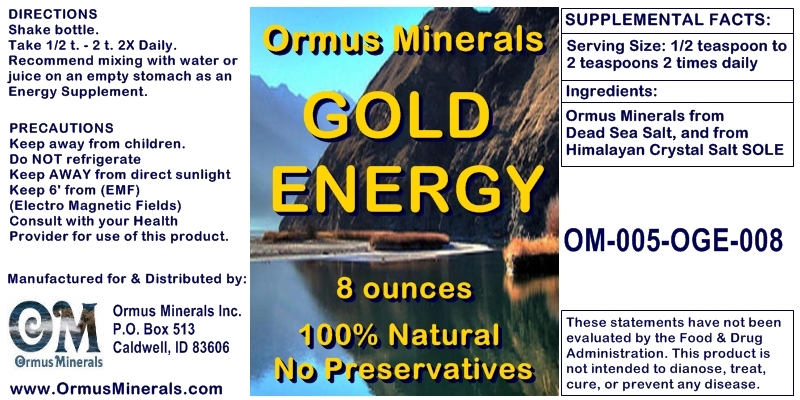 VITALITY ....One of the first things that users notice and report about ORMUS use is increased energy and vitality. Though there many be a short period where the body is adjusting, detoxifying, and cleansing itself, continued Ormus use keeps the body balanced, rejuvenated, and strong. 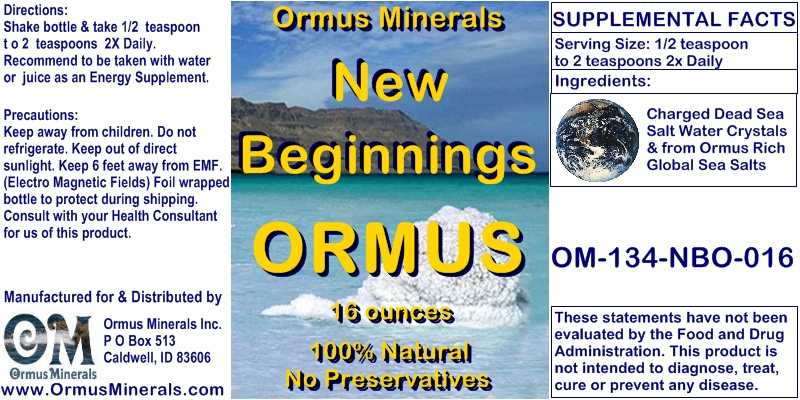 BONES and TEETH … Since Ormus sometimes reveals itself ‘acting like Calcium' derivatives yet being nutritive water-soluble metallic minerals, ORMUS has amazing beneficial affects on strengthening bone density, preventing osteoporosis, and correcting oral dental problems. 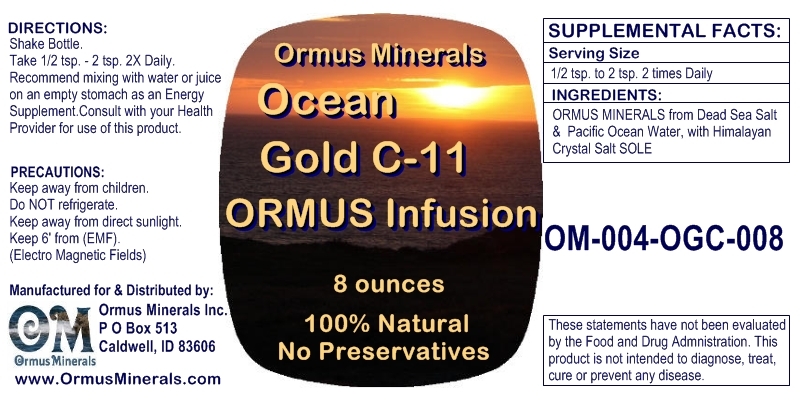 HEALING, INCREASED LONGEVITY AND YOUTHENING .....Many users report almost immediate healing and certain ‘Youthening” effects of Ormus intake. Endurance levels for activity appear to be increased, strength and stamina enhanced. 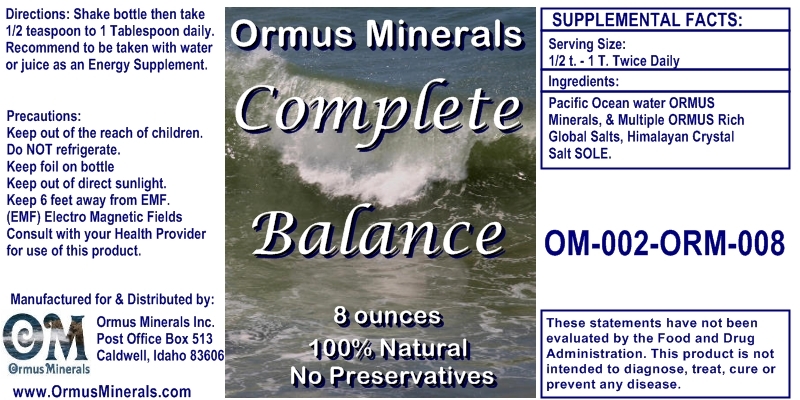 ORMUS can help to achieve a naturally balanced strong healthy Body, Mind and Spirit. MENTAL ENRICHMENT..... Some users report enhanced mental acuity, clarity of thought, a new mental and physical well-being-and calmness, increased intuitive powers, increased insight and a higher or renewed state of awareness. aids in balancing the bodies pH level, increases synchronicity, carries anti-aging characteristics. There are numerous miraculous healing stories that have surfaced on the internet since being discovered. DNA. They don’t chemically inter-react with it, they just correct the DNA.